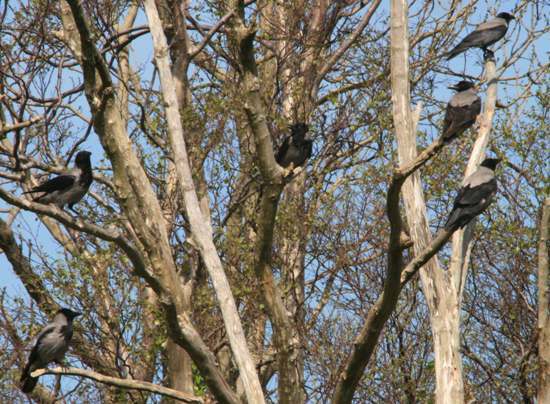 Until recently the Hooded Crow was considered to be the same species as the Carrion Crow; indeed, the two species do sometimes interbreed. 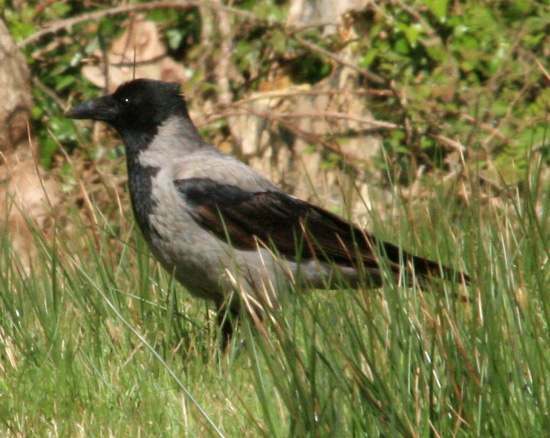 About the same size as a rook, but with feathered thighs and feathers around the base of the beak, in folklore the Hooded Crow has been treated as a harbinger of doom. 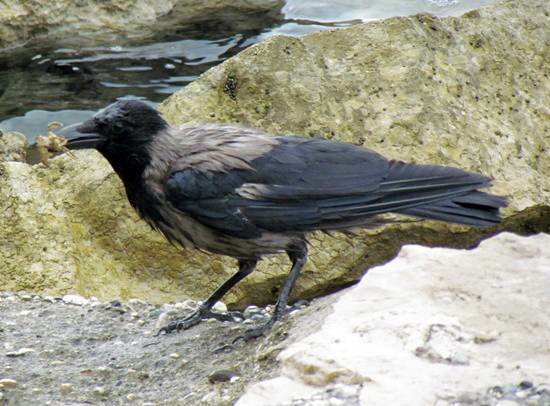 Hooded Crows eat young birds as well as birds eggs, worms, insects, fruit and seeds; they will also accept bread and a range of kitchen scraps. The twig-based nest of the Hooded Crow is lined with hair and bark and is usually built in the fork of a tree, and the eggs are pale blue-green with dark brown and grey markings. Both male and female adults feed the young birds.